Aizawl, Mar 13 : Mizoram Governor Vakkom Purushothaman today said that the state government has submitted a proposal to include additional 15,000 families as beneficiaries under the government’s flagship New Land Use Policy (NLUP) during 2013-14 after covering 1.2 lakh families. In his customary gubernatorial address to the state assembly on the first day of the budget session, Purushothaman said that the implementation of the NLUP made “good progress”. “Out of the target of 1.2 lakh families, 96,139 families were given financial assistance during 2010-11 and 2011-12 and was scheduled to cover 1.2 lakh families during 2012-13″, he said. “In view of the increase in the number of eligible families after the household survey of 2009, a proposal has also been submitted to the Planning Commission for additional 15,000 beneficiaries in addition to the original target of 1.2 lakh families,” he said. In order to strengthen sustainability of the various projects under NLUP, an initiative was also taken to explore technical and supplementary funding support from the UN’s FAO and its global partner, the University of Minnesota, he said. Planning Commission has so far released Rs 838.82 crore exclusively for the NLUP in addition to the fund flow of Rs 246.38 crore from CSS under the Convergence Plan, he said. Due to the enhanced allocation of fund under NLUP, allocation under RKVY (Rashtriya Krishi Vikas Yojana) has also gone up from 30.36 crore in 2011-12 to Rs 200.91 crore during 2012-13, he said. The governor congratulated the people for maintaining peace in the state, adding that maintaining peace and tranquility, securing the safety of the citizens and affecting progress and development in all fields was one of the top priorities of the government. 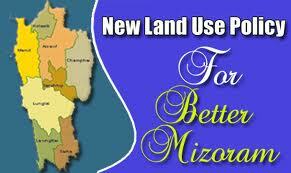 The budget session of the Mizoram legislature would continue till April three. State Finance minister H Liansailova would present the state annual budget for 2013-14 on Friday.